Named after the Russian port city, Archangel were born in 2001 with Peter Innes on vocals and keyboards, Euan Walker on lead guitar and John Sinclair on drums. Also part of the original line-up were bassist Adam Fitchett and rhythm guitarist Gordon Stirling-Whyte, but it was the Glasgow-based triumvirate of Innes, Walker and Sinclair who went on to play live around Scotland from 2003 onwards. That year saw too the release of the band's first album, the seven-tracked 'Idiot Syncrasies'. The follow-up 'True Colours EP' contained four songs and was produced in 2005. Although John called it a day in 2007 and went on to form Wozniak, Peter and Euan continued to play acoustic sets until 2008. A somewhat extended sabbatical followed. In late 2012, the band reconvened with Dougie Frew on drums and Stephen McLeary on bass. 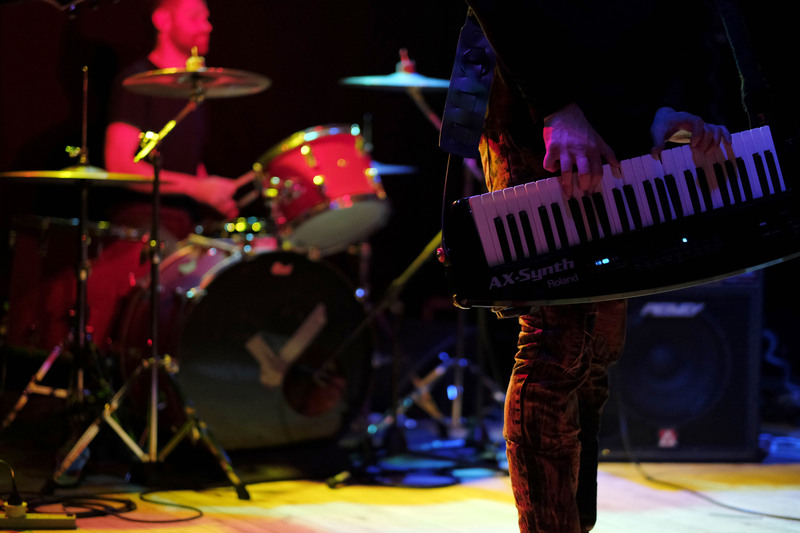 Archangel made a welcome return to the live scene at the end of 2013. Peter, Euan, Dougie and Stephen recorded the band's long-awaited third album, 'Big In Estonia', in August 2014. Archangel's latest offering, 'Princess Of Persia', was released in June 2016, when the band celebrated their fifteenth birthday. Stephen hung up his bass in early 2018 to focus on his lead guitarist role with Soul Circus. He was replaced as Archangel bassist by Lee Hutton in May of the same year. Archangel have played a host of venues and festivals across the land since 2003, including Nice 'n' Sleazy, 13th Note, Ivory Blacks, Record Factory, Box, ABC2, Bar & Fly, Soundhaus, Rockers, Stereo, Wee Red Bar, The Vale, Rock Garden, Fury Murry's, Bourbon Street, Liquid Lounge, The Universal, Blackfriars, The Attic, Whistle Binkies, Rock The Valley, Scene On The Green, and the band's very own Angelfest.